Can I wire funds to my Zing Money account? Wire transfers are not supported. 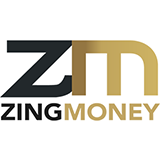 To transfer funds, please link your bank account at Zing Money.com. To link your bank account, read this article: Link your bank account.